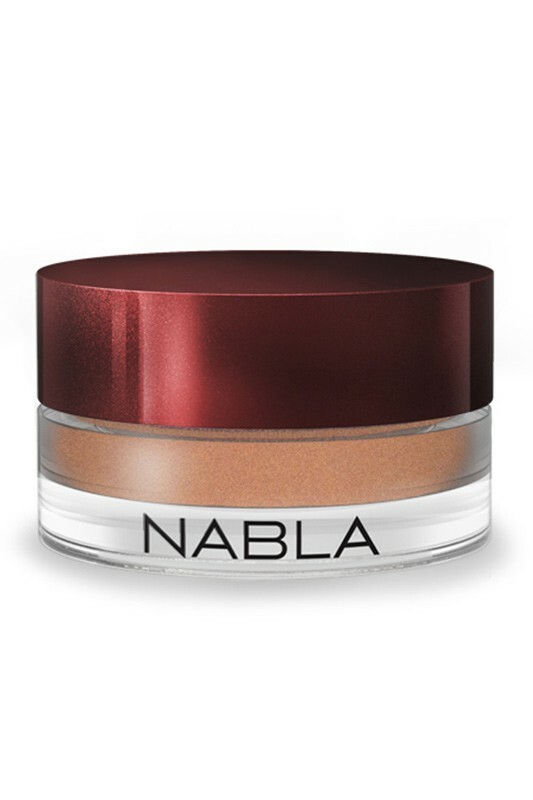 Long lasting waterproof makeup, the Nabla Cream Shadow with a full but buildable colour. 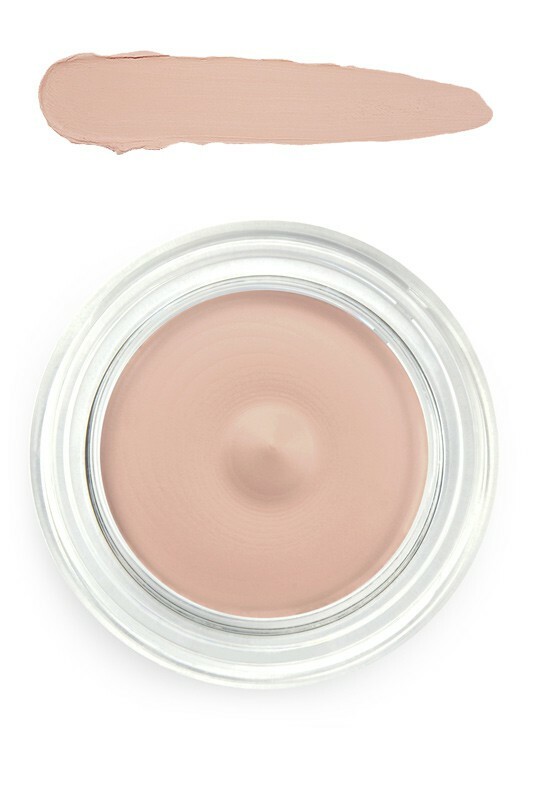 The Cream Eye Shadows can be easily shaded into a pure and vibrant finish and it will remain creaseless during the day. The formula is neither too hard nor too soft permitting the right quantity for an easy application.T he consistency of Nabla Vegan Cream Shadow also allows the application of the product in a defined way and the fast dry formula makes them ideal to be used as eyeliners. Makes your eyes beautiful with NABLA Cream Eyeshadows ! 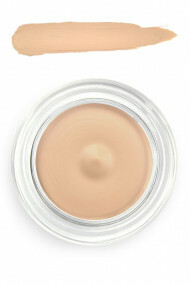 The creamy texture allows it to blend naturally with the skin to give a surprisingly powdery finish. Take a small amount and apply it on the eyelid with little pats. Gently soften with a Cat's Tongue Brush for a more accurate result, especially at the inner corner of the eye. You can apply just one colour on the eyelid, or combine colours as you wish. For a longer lasting effect, apply it as an eyeshadow powder. The beautiful swatch of Nabla Supreme Crème Shadow ! Pure & vibrant finish with NABLA Vegan Crème Shadow ! Ingredients of Morning Glory : isododecane, mica, polyethylene, cyclopentasiloxane, trimethylsiloxysilicate, disteardimonium hectorite, cyclohexasiloxane, quaternium-90-bentonite, polyester-4, vp/va copolymer, pentylene glycol, boron nitride, sorbitan sesquioleate, synthetic beeswax, acacia decurrens/jojoba/sunflower seed wax polyglyceril-3 esters, bis-diglyceryl polyacyladipate-2, trihydroxystearin, propylene carbonate, calcium aluminum borosilicate, silica, syntethic fluorphlogopite, calcium sodium borosilicate. +/− (may contain): ci 77891 (titanium dioxide), ci 77491 - ci 77492 - ci 77499 (iron oxides), ci 77510 (ferric ferrocyanide), ci 77163 (bismuth oxychloride), ci 77861 (tin oxide). Ingredients of Utopia : isododecane, mica, polyethylene, cyclopentasiloxane, trimethylsiloxysilicate, disteardimonium hectorite, cyclohexasiloxane, quaternium-90-bentonite, polyester-4, vp/va copolymer, pentylene glycol, boron nitride, sorbitan sesquioleate, synthetic beeswax, acacia decurrens/jojoba/sunflower seed wax polyglyceril-3 esters, bis-diglyceryl polyacyladipate-2, trihydroxystearin, propylene carbonate, calcium aluminum borosilicate, silica, syntethic fluorphlogopite, calcium sodium borosilicate. +/− (may contain): ci 77891 (titanium dioxide), ci 77491 - ci 77492 - ci 77499 (iron oxides), ci 77510 (ferric ferrocyanide), ci 77163 (bismuth oxychloride), ci 77861 (tin oxide). Ingredients of Hyperspace : isododecane, mica, polyethylene, cyclopentasiloxane, trimethylsiloxysilicate, disteardimonium hectorite, cyclohexasiloxane, quaternium-90-bentonite, polyester-4, vp/va copolymer, pentylene glycol, boron nitride, sorbitan sesquioleate, synthetic beeswax, acacia decurrens/jojoba/sunflower seed wax polyglyceril-3 esters, bis-diglyceryl polyacyladipate-2, trihydroxystearin, propylene carbonate, calcium aluminum borosilicate, silica, syntethic fluorphlogopite, calcium sodium borosilicate. +/− (may contain): ci 77891 (titanium dioxide), ci 77491 - ci 77492 - ci 77499 (iron oxides), ci 77510 (ferric ferrocyanide), ci 77163 (bismuth oxychloride), ci 77861 (tin oxide). Ingredients of Rea : isododecane, mica, polyethylene, cyclopentasiloxane, trimethylsiloxysilicate, disteardimonium hectorite, cyclohexasiloxane, quaternium-90-bentonite, polyester-4, vp/va copolymer, pentylene glycol, boron nitride, sorbitan sesquioleate, synthetic beeswax, acacia decurrens/jojoba/sunflower seed wax polyglyceril-3 esters, bis-diglyceryl polyacyladipate-2, trihydroxystearin, propylene carbonate, calcium aluminum borosilicate, silica, syntethic fluorphlogopite, calcium sodium borosilicate. +/− (may contain): ci 77891 (titanium dioxide), ci 77491 - ci 77492 - ci 77499 (iron oxides), ci 77510 (ferric ferrocyanide), ci 77163 (bismuth oxychloride), ci 77861 (tin oxide). Ingredients of Entropy : isododecane, mica, polyethylene, cyclopentasiloxane, trimethylsiloxysilicate, disteardimonium hectorite, cyclohexasiloxane, quaternium-90-bentonite, polyester-4, vp/va copolymer, pentylene glycol, boron nitride, sorbitan sesquioleate, synthetic beeswax, acacia decurrens/jojoba/sunflower seed wax polyglyceril-3 esters, bis-diglyceryl polyacyladipate-2, trihydroxystearin, propylene carbonate, calcium aluminum borosilicate, silica, syntethic fluorphlogopite, calcium sodium borosilicate. +/− (may contain): ci 77891 (titanium dioxide), ci 77491 - ci 77492 - ci 77499 (iron oxides), ci 77510 (ferric ferrocyanide), ci 77163 (bismuth oxychloride), ci 77861 (tin oxide). 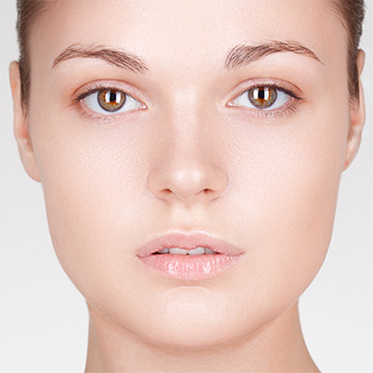 Ingredients of Petite Mélodie : isododecane, mica, polyethylene, cyclopentasiloxane, trimethylsiloxysilicate, disteardimonium hectorite, cyclohexasiloxane, quaternium-90-bentonite, polyester-4, vp/va copolymer, pentylene glycol, boron nitride, sorbitan sesquioleate, synthetic beeswax, acacia decurrens/jojoba/sunflower seed wax polyglyceril-3 esters, bis-diglyceryl polyacyladipate-2, trihydroxystearin, propylene carbonate, calcium aluminum borosilicate, silica, syntethic fluorphlogopite, calcium sodium borosilicate. +/− (may contain): ci 77891 (titanium dioxide), ci 77491 - ci 77492 - ci 77499 (iron oxides), ci 77510 (ferric ferrocyanide), ci 77163 (bismuth oxychloride), ci 77861 (tin oxide). Ingredients of Dusk : isododecane, mica, polyethylene, cyclopentasiloxane, trimethylsiloxysilicate, disteardimonium hectorite, cyclohexasiloxane, quaternium-90-bentonite, polyester-4, vp/va copolymer, pentylene glycol, boron nitride, sorbitan sesquioleate, synthetic beeswax, acacia decurrens/jojoba/sunflower seed wax polyglyceril-3 esters, bis-diglyceryl polyacyladipate-2, trihydroxystearin, propylene carbonate, calcium aluminum borosilicate, silica, syntethic fluorphlogopite, calcium sodium borosilicate. +/− (may contain): ci 77891 (titanium dioxide), ci 77491 - ci 77492 - ci 77499 (iron oxides), ci 77510 (ferric ferrocyanide), ci 77163 (bismuth oxychloride), ci 77861 (tin oxide).